The Boy Scouts of America is a 3.6-million-strong, outdoor-ready, community-serving, patriotism-preserving, values-validating force for good. And we’re just getting started. But wait. I’m preaching to the choir here. The real people who need to know about the BSA and our 6 million nights of camping, 56,841 Eagle Scouts and 17 million hours of community service last year are the ones who don’t don a uniform each week. That’s why a group of nine outstanding BSA representatives have descended upon Washington, D.C., this week to deliver the 2013 Report to the Nation. Think of it as the CliffsNotes version of the past year in Scouting. The idea is to make it easy for politicians, CEOs and members of non-Scouting families to see that Scouting continues to create “conscientious, responsible and productive citizens” — as the last line of the report puts it. First I’ll point out my favorite parts of the Report to the Nation, and then I’ll share the full report so you can pick out your own highlights. It’s all after the jump. 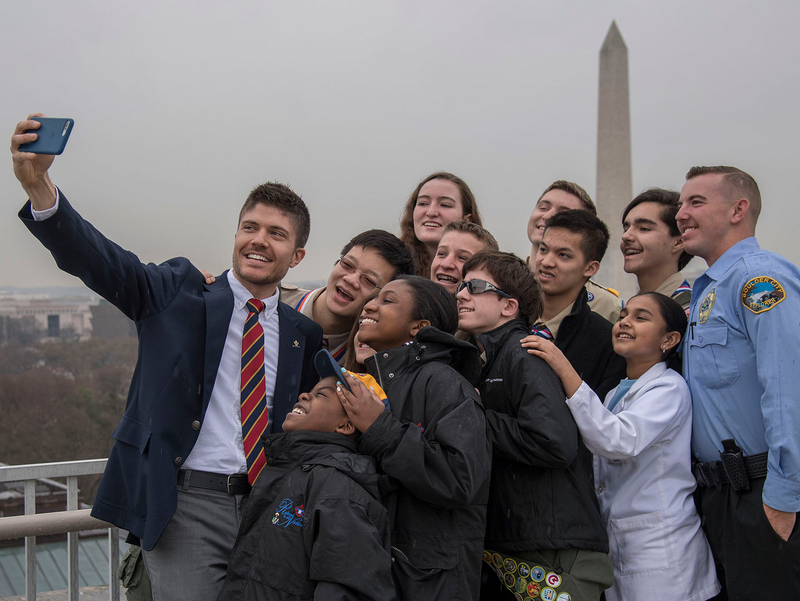 The BSA has awarded more than 100,000 Presidential Active Lifestyle Awards to Scouts completing a 60-day fitness challenge.